On the Phoenician routes, set between the pond of Cabras and the spectacular Capo San Marco, enhanced by the ruins of the ancient town of Tharros, there is a little village, where life seems to go on as it did in times gone by. Still today, you will notice the typical little fishermens' houses made of wood and cane, examples of which can be found a short walk from the archaeological excavations. The distinctive village of San Giovanni di Sinis contains a historical and architectural gem of inestimable value, where the air is filled with spiritual peacefulness. 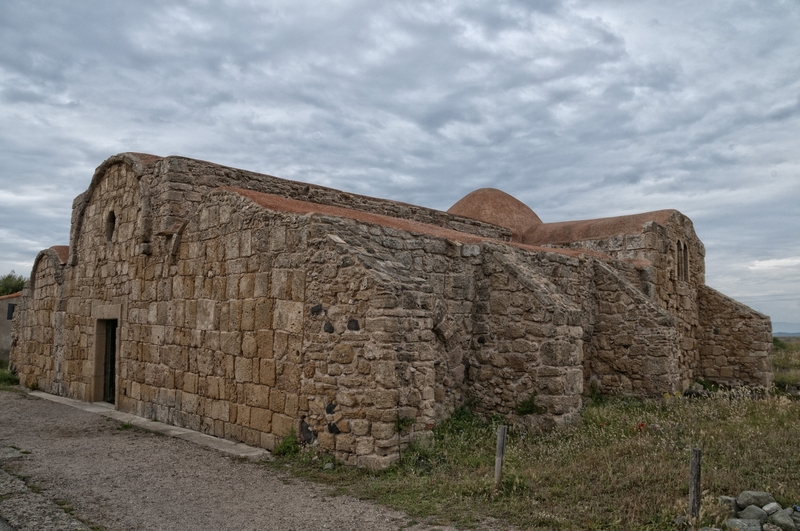 It is the small early Christian church of San Giovanni, sculpted with unusual shapes. It was first built in the Byzantine period, in the middle of the 6th century. The little rural church stands on a small cemetery of pagan origin: its features are those of a Punic and then Christian necropolis. Facing the sun at sunrise, even now it has an aura of austere sanctity that it once transmitted to the devoted worshippers and that echoes in the figure of San Giovanni Battista, to whom it is dedicated. It has a rectangular layout with a protruding apse. Its structure is made of blocks of spolia sandstone that bring to mind the walls of Tharros, first a Phoenician-Punic colony, then a Roman one. Its original form was revisited and it was extended between the 9th and 10th centuries. 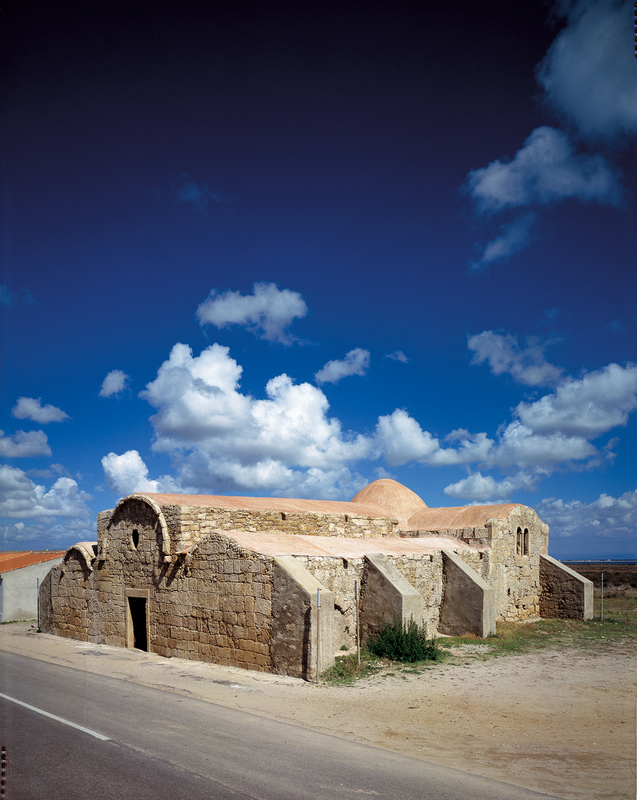 Today, it has an Early Middle Ages appearance, making it one of the most ancient Sardinian churches. 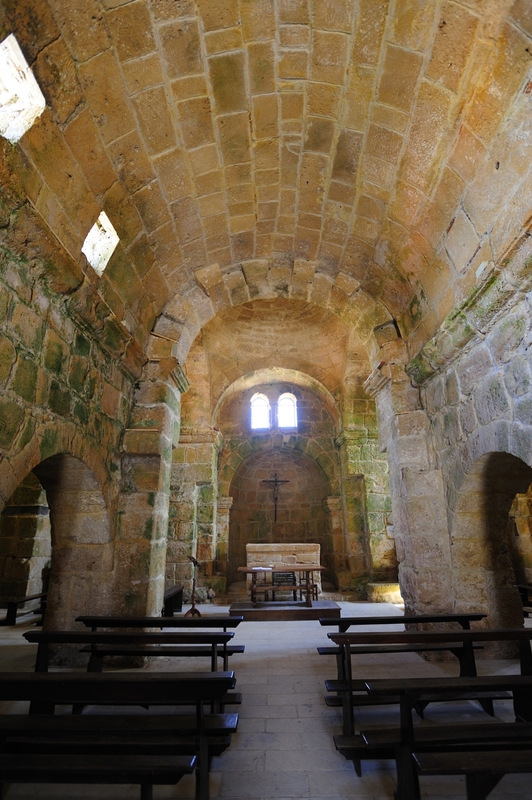 Inside it, you can admire three naves with a barrel vault above them and separated by a series of arches. The sunlight gently flows in through an octagonal window that enhances the contrast between the darkness inside and the bright façade. Next to it, you will see the tower of San Giovanni, named this way because of its closeness to the little church and built between the end of the 16th and the beginning of the 17th century. It is one of the two coastal towers in the area. The other is the Torre Vecchia (or the tower of San Marco), which stands over 50 metres high, dominating the archaeological area and overlooking the charming beach of San Giovanni, fine, white sand disappearing into the turquoise sea. In the approximately 30 kilometres of coastline of the marine area of the Sinis peninsula you will find other wonders with fine grains of quartz, particularly Is Arutas, Maimoni and Mari Ermi. To complete the cultural excursion, however, you should visit the archaeological museum of Marongiu in Cabras, where you can admire part of the greatest archaeological discovery of the late 20th century in the Mediterranean basin: the statues of the Giants of Mont'e Prama. La chiesa si trova sulla Strada Provinciale 6, in direzione dell’area archeologica di Tharros. Lascia la Strada Statale 131 all'altezza di Siamaggiore per prendere la Strada Provinciale 12 verso Zeddiani, proseguendo per Riola Sardo sulla Strada Provinciale 66. Dopo pochi chilometri gira a sinistra sulla Strada Provinciale 62 e imbocca la Strada Provinciale 7 in direzione di San Salvatore, dove devi imboccare la Strada Provinciale 6 per l'ultimo tratto del percorso verso Tharros, fino al mare e quindi alla chiesa di San Giovanni di Sinis.